Can cats-British to boast a fun, forward folded ears or another is a hallmark of the breed and what kind? Let's look a little into the history of the species to clarify this question. 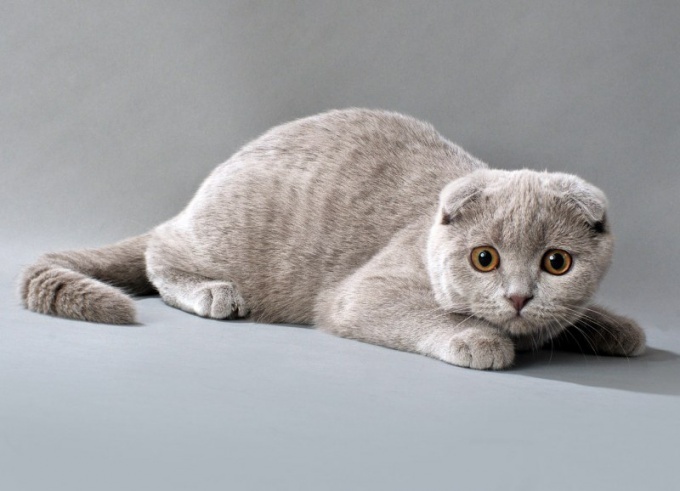 The main features of the Scottish fold. Scottish fold as a breed appeared relatively recently. In Scotland, accidentally found a kitten with hanging ears gave rise to a new breed of cats, featuring a completely original muzzle, which give a special charm to the unusually small ears. 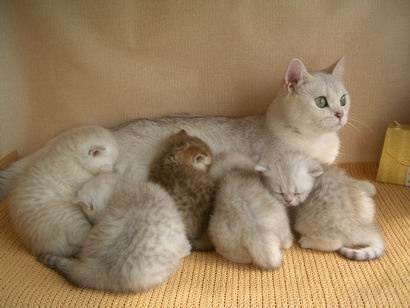 The Scottish fold cat is medium in size, elegant, with long and medium length hair, long tail, and has light bone. Large open eyes are amber or orange color make them look like the owlets. In the process of selective work, it was observed that in the litter the kittens are born with erect ears, which, however, carry the gene of lop-eared. 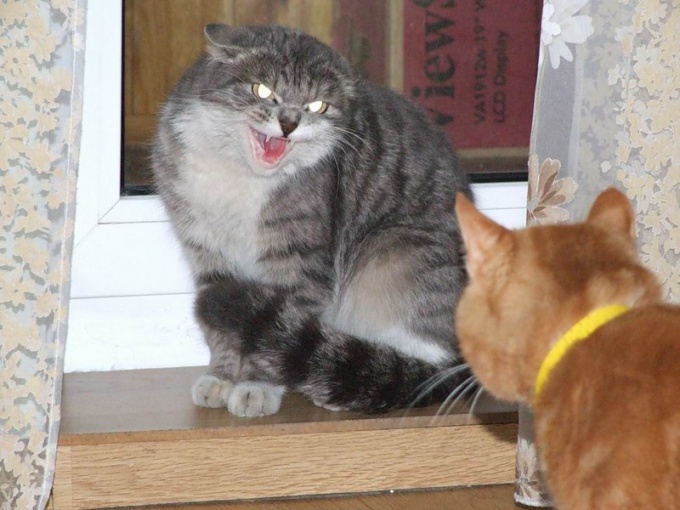 This gene, among other things, carries the abnormality of the skeletal system, it occurs when you cross two fold cats are called Scottish folds, so this crossing is strictly not allowed. Pair this cat is the Scottish straight, that is, the owner of the erect ears. 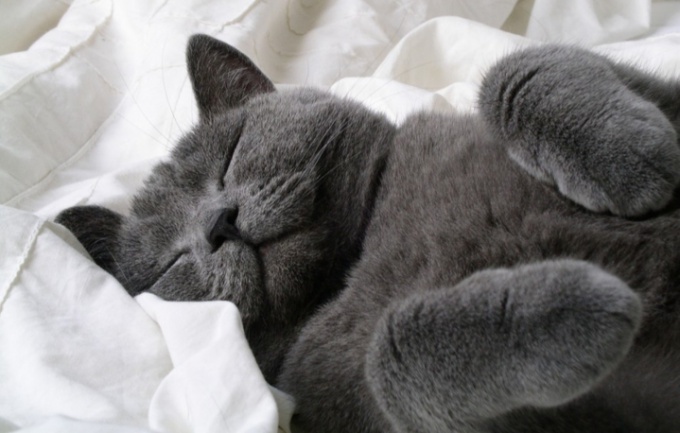 A distinctive feature of the British Shorthair. British - a burly, stocky big cat with fat cheeks and big round as saucers eyes gave me such a sincere national love. Thick dense coat, not attached to the body, does not require frequent combing and makes them look like Teddy bears. Strong nervous system, a calm disposition, good health, attachment to the host and a great livable not only with family members but also with other Pets they have in common with the Scots. 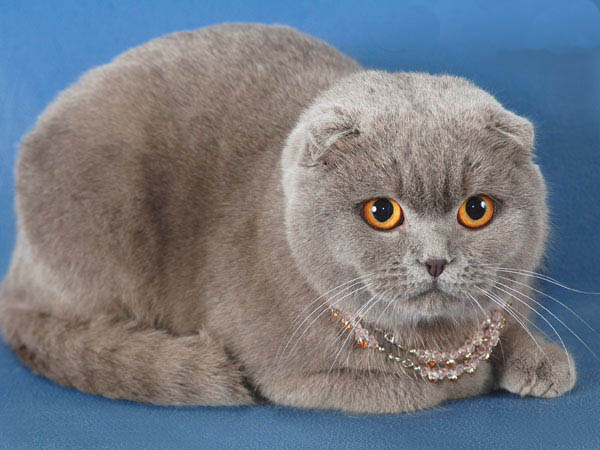 For all his individual and always recognizable even appearance they are somewhat similar to the Scottish fold cats that sometimes causes the uninitiated, questions regarding the definition of the breed, many of them confused although in the reading of the description of each of these doubts disappear. 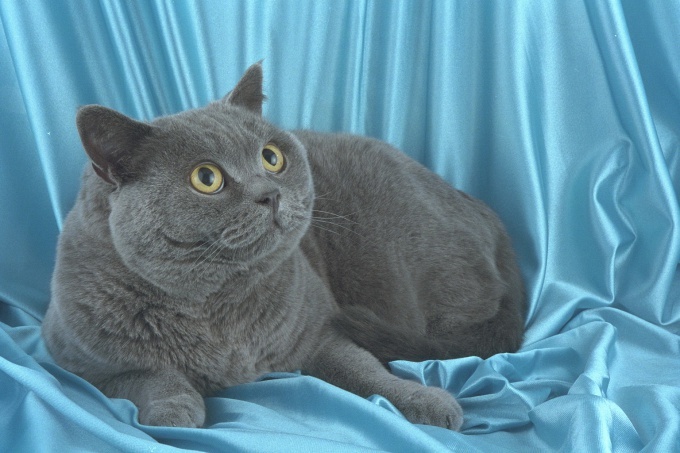 Currently, the British Shorthair is a closed species, mating is only allowed within the breed. It is strictly forbidden to mix it with the Scots, despite the fact that they are similar in their phenotype. This is because a very high likelihood of birth to kittens with severe deformities in the skeletal system because the gene that causes drooping of the ears and, at the same time, which causes the splicing of the spinal vertebrae and other deformities of bone development. Because of this the Scottish fold breed is still not recognized by FIFE. Officially, the breed is banned in England and Germany.